Made in the USA, Modula produces automated storage systems using the most advanced vertical lift technology in the industry. 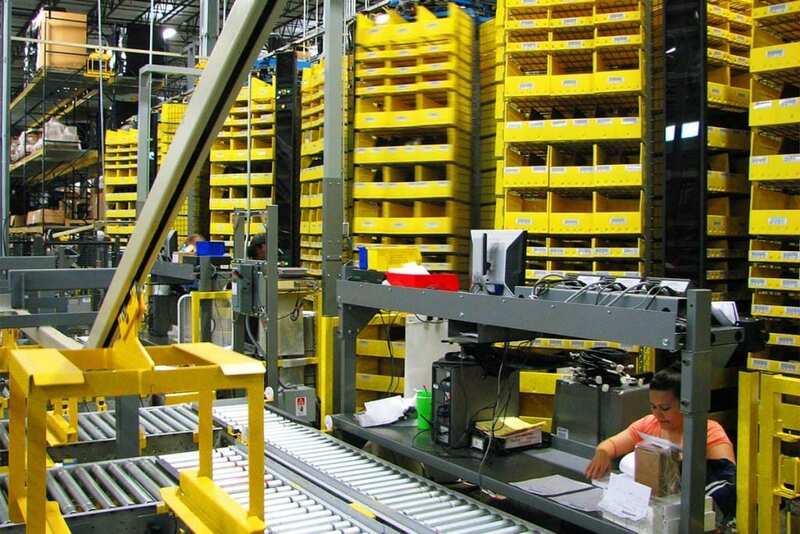 Their innovative solutions include automated storage and retrieval systems (ASRS) meant to streamline your warehouse space and improve your operations. The Vertical Lift Module (VLM) uses the full height of your space, giving you floor to ceiling storage capabilities. The Modula Vertical Carousel (VC) technology is ideal for smaller spaces, allowing you to save needed floor space and easily access your stored items. 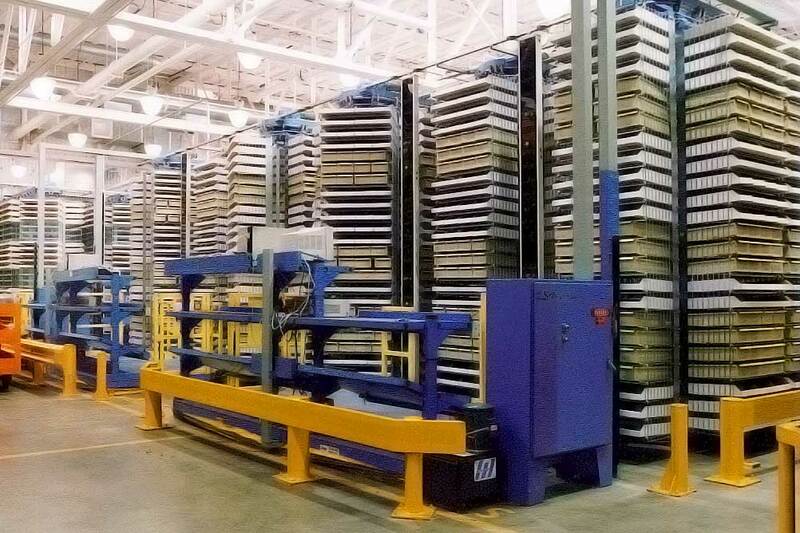 As a proud partner of Modula, we work with their team and you to customize ASRS and industrial vertical storage solutions for your warehouse or workspace needs. 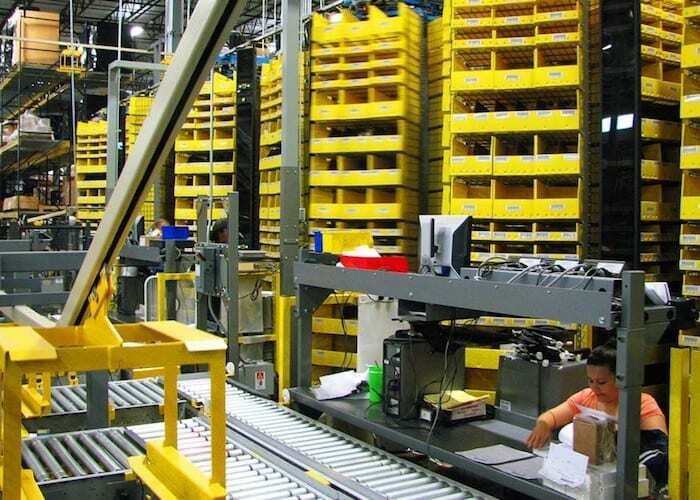 Able to place and retrieve goods from securely stored locations, these ASRS are the best solution for organizing inventory, especially if you’re dealing with high volumes. If your warehouse is feeling cramped and you can’t quite find the space you need, Modula systems are guaranteed to recover up to 90% of your floor space – effectively saving your team valuable time. Ready to increase safety and efficiency in your plant or warehouse? Discover the variety of Modula products below and contact us to get started. Considering all your warehouse needs and storage solutions can be daunting. Many facilities need to accommodate both large equipment and parts, as well as smaller tools, equipment and parts. Beyond storage, your employees need to be able to easily access and retrieve stored items quickly in order to stay productive, efficient and safe. Optimizing your warehouse space doesn’t have to be an overwhelming endeavor. You may feel that your warehouse has limited space, but with Modula VLM and VC systems, we can customize and install high-density shelving to maximize your space beyond what you can imagine. Vertical warehouse storage can give you the space you need to streamline your processes, increase efficiency and safety while ultimately increasing your bottom line. Modula’s Vertical Lift Module (VLM) is guaranteed to help you recover up to 90% of your currently occupied floor space by using your floor to ceiling vertical space to its full potential. Along with that guarantee, Modula will maximize storage density to increase the amount of space saved. 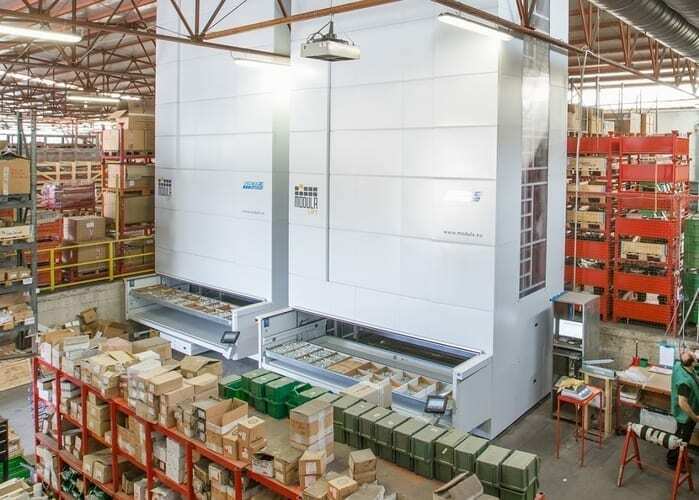 Ideal for storing industrial products, components and spare parts, Modula vertical lifts have helped companies improve their workflow processes. Modula technology is flexible and offers a wide variety of innovatively designed options that are easy to use and are sure to maximize your space. 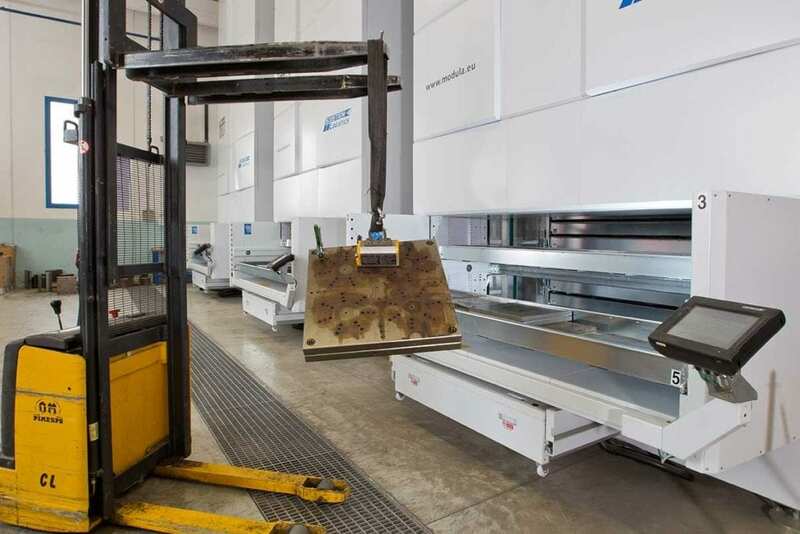 Modula Horizontal Carousels are ideal for high-speed automated storage and retrieval picking operations. In addition to freeing up warehouse space, the horizontal carousel can increase productivity by 65% and reduce operating expenses. Horizontal storage applications are common in pharmaceutical and automotive parts industries. The Modula Diamond Phoenix carousel product is designed with an oval track that delivers goods to pickers. Typically, two or more carousels are integrated with a workstation which is integrated with our batch-picking software. The Modula OneTon offers vertical lift module storage for heavier goods, as well as maximum operator security. 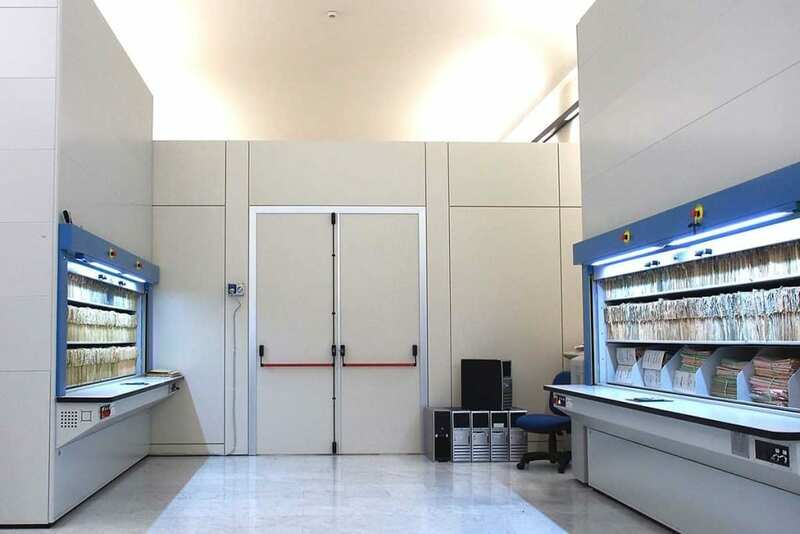 The Modula Cube provides horizontal lift storage in low ceiling applications and increased inventory control. The Modula Diamond Phoenix is a carousel picking system designed for advanced order fulfillment applications. The Modula VC’s low maintenance design works well in confined or small spaces to maximize vertical space. 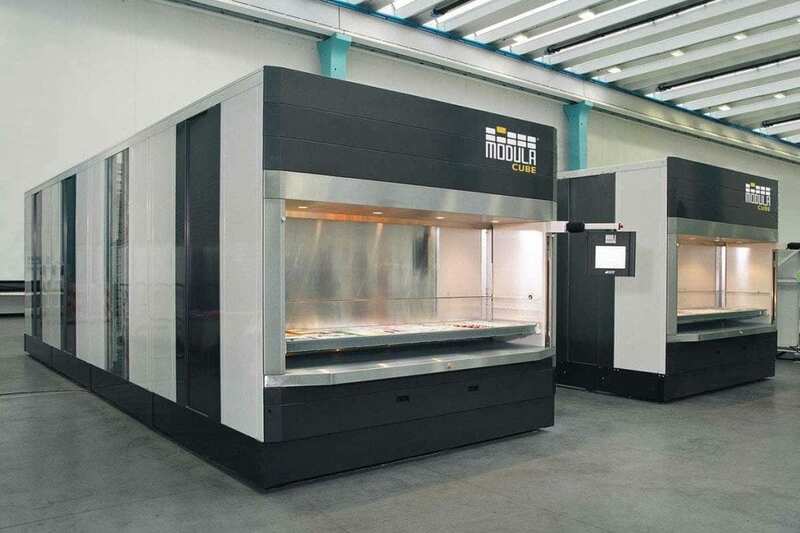 View Modula case studies to experience the innovative time and space saving industrial storage systems that are ideal for a wide range of industries.